Welcome to the world of chairs. Our chairs are an off white coloring, they are a comfortable plastic folding chair and can be easily stacked and moved from place to place. These are a welcome addition to our tables as you know, guests love to relax while their kids play! Make your own cotton candy at home or event! 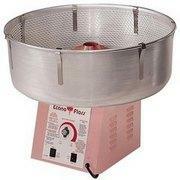 Large enough to make cotton candy for 20 or 200 kids! The unique idea will make you the hit of the party! Reserve today! This item comes with sugar and cones for 50 people! Need more? Order extra supplies! We have them! In lots of 25 cones and sugar for only $10! Setup area: Need Cotton Candy Machine! For $10 you receive 25 extra cones and sugar to match! The event grill is a commercial sized grill meant to take you from average backyard chef to the Ultimate Grille Meister! This grill cooks 65 hamburgers or 126 hotdogs at one time, add the griddle to it and you can serve up to 30 people the fajitas that dreams were made of! Two propane tanks are required to heat up this grill that sits atop a stand with wheels, that means you can grill ANYWHERE! The stand also has two folding side tables so you can have your ingredients right at your fingertips! You cook the the best food in the land and we will clean up! Two propane tanks, a spatula, and food are not included in the rental. 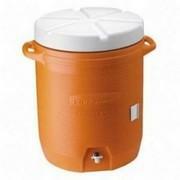 We do have propane tanks for rent on this site! Our generators are a must for use in any event. 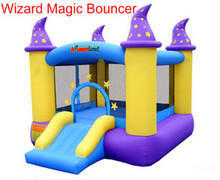 Older buildings cannot handle to the necessary draw of power caused by the blowers to inflate the bounce houses. When this happens we see breakers failing and inflatables collapsing. We don't want to see this happen at any event. We recommend generators to ensure the party goes on! City parks typically do not have electricity! Please check with the park you are thinking about having your event. Please remember parks in the City of Albuquerque require a permit and ony 21 parks allow inflatables. All of our generators come full of gas and you do not need to refill them! Questions? Please call, email or if available click the box to your right and we can get your questions answered. This gem is awesome for any party extra! Don't want to supply snacks? 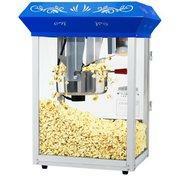 Get the popcorn machine and snacks are fresh and front and center for your guests. The popcorn machine comes with supplies for 50 people. 50 bags and 10 all in one popcorn kits. All of this for $75! Need more? We have more! Extra supplies for 30 people are available. Our super dooper cool machine comes with supplies for 50 people. But you need more? We can! Additional supplies for additional 30 people come with 30 bags and 4 popcorn kits. 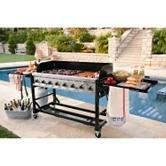 Perfect for poolside parties or fundraising events this machine is ready to serve big groups. Snow cone supplies for 200 included with machine and 3 flavors of syrup, Cherry, Grape, and Blue Raspberry (in 4 large squeeze bottles)....you supply the ice! Get this monster for $65. These shade canopies provide a full 10 feet x 10 feet of shade too cool off any party under the sun! Quick installation makes these the hottest summer accessory on the block. Decked out with a blue canopy, you can easily find yourself relaxing while the kids are getting their fun on in one of our amazing inflatables. Recommend canopy weights to battle the winds of Albuququerque, chairs and tables to sit relax and have a place to put your cool drink. 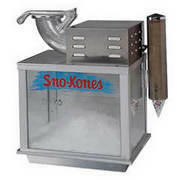 This 54" tall snow cone cart makes real fun by keeping ice shaving cage safe and quick! There is a nifty storage area for cones and syrups and it's on wheels for parties anywhere! Perfect for poolside parties. Included are 3 flavors of syrups (cherry, grape and blue raspberry) and 40 cones with a cart. All you need to supply is the ice! All for the cool price of $50! Need more syrup or cones? Add some extas to your cart and we will deliver! Setup area: A table, stand or kitchen counter are needed! This micro mini is perfect for any backyard party! Shaved ice, supplied with 3 flavors of syrup (cherry, grape and blue raspberry) along with cones for 20 kids or adults alike! Ice is all you need to supply. If extra supplies are needed, add them to your cart and we will deliver! The mini is $10 and the extra supplies for 20 more people are $5! 20 Cones and Syrup (grape, cherry and blue raspberry) all you supply is the Ice! These tables are perfect for all that extra room you may need at your event. Room for food or cake or those presents!! If your event is at a park, you can never have enough room to keep those precious items off the ground!! Hard Plastic top, recommend table covering! 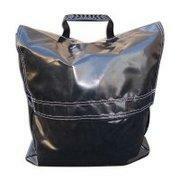 Tarps are necessary for set up on Dirt, Asphalt and Gravel. Tarps will keeo the jumping area clean and safe from stickers, it will also protect the equipment from getting holes due to rocks or sticks. 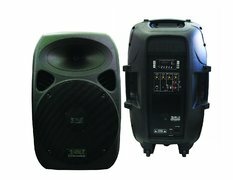 This PA system can be used to help your voice be heard at meetings, parties or any social function. Bluetooth capabilities help create a true party atmosphere by belting our your favorite tunes. Need a portable player to help with a karaoke night? Upload your tunes to your tv app and plug in the Absolute to create a party to remember. • Can use regular radio! Book Now online, anytime! Call 505-792-6620 with any questions! One outlet necessary, extension cord may be needed.